Firefighter Robert E. LaFera, member for over 50 years, has passed away. is CLOSED due to a sink hole. 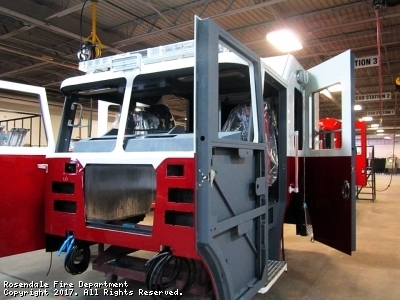 Soon, the RFD will be acquiring our new KME pumper/rescue featuring 6 man cab with EMS cabinet, Cummins motor, 750 gallons of water, Hale QMAX pump, deck gun, Onan 10k onboard generator, hydraulic lines for Hurst "Jaws of life" tools, Whelan LED scene lighting, Willburt LED vertical light tower, speedy dry fender hopper, 9,000 lb portable winch with receivers on all 4 sides of the truck and a federal triple camera back up system. It is currently under construction. We look forward to serving our community with this new piece of firefighting equipment. 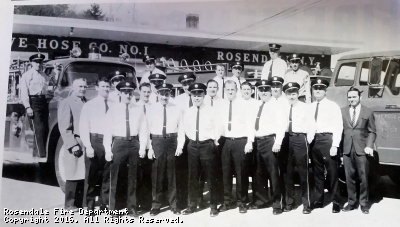 The Rosendale Fire Dept. had their annual installation dinner at the Postage Inn on Saturday April 14, 2018. Congratulations to Firefighter Peter Elting for receiving the Fireman of the year award. We also congratulate Jeaninne Germain. for receiving the Commissioner of the year award. During the dinner we also honored Chief William McNamara for serving as Chief from 2013-2017 as well as Jeaninne Germain for serving as the EMS Officer from 2012-2017. We thank them both for their many years of service in those positions. Mutual Aid to Bloomington for PIAA on Thruway at Mile Marker 81.9 Northbound. 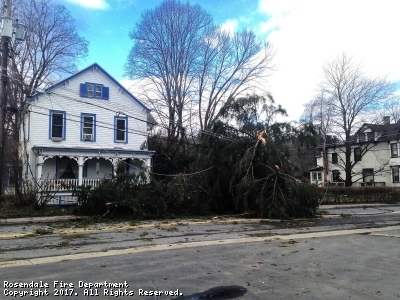 Attention vehicles traveling on Main Street Rosendale. Please do not make U-turns in the firehouse parking lot. 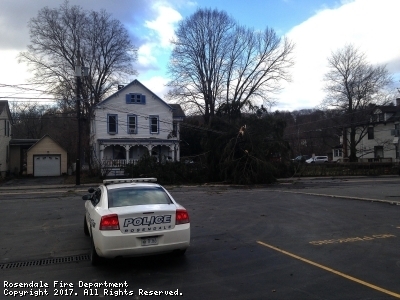 The amount of vehicles making U-turns in the firehouse parking lot has steadily increased causing damage to the parking lot. Damage to the parking lot only leads to expensive repairs which we are trying to avoid. Thank you in advance for your cooperation. This site has been viewed 147,319 times.